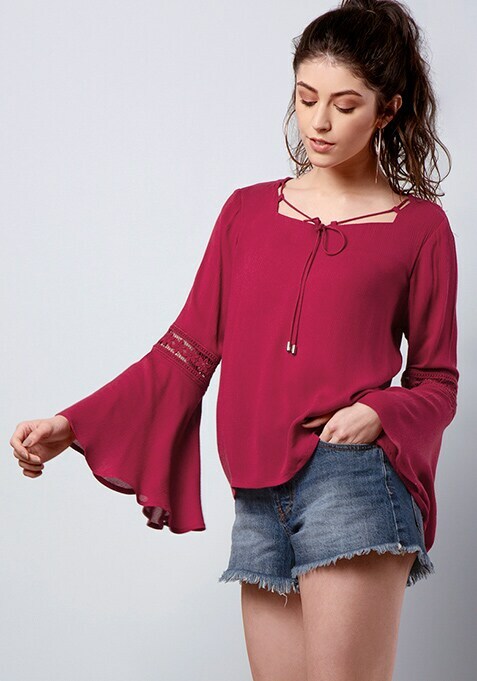 Keep it simple and sassy with maroon top that is easy to style and very comfortable to wear. Featuring crochet insert and a round neck. Work It: Style this top with ripped shorts and complete your look with a pair of sneakers.